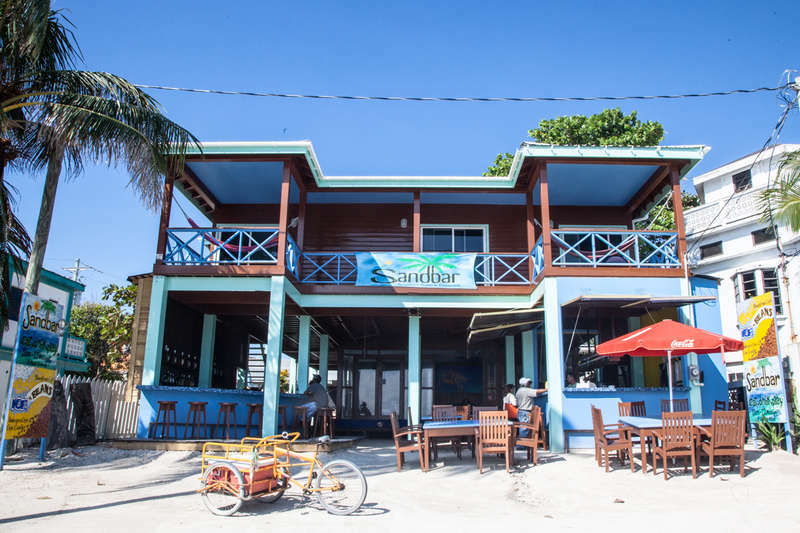 Sandbar Beachfront Hostel & Restaurant is a thrifty traveler’s/backpacker’s dream come true. 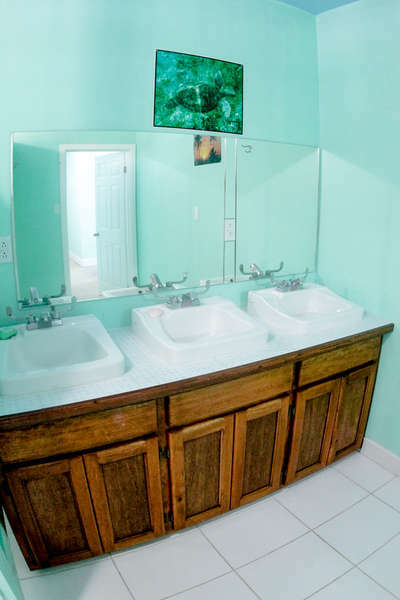 Located in San Pedro on Ambergris Caye, we are on the water and priced for even the most budget conscious. We are located on the beach, a three minute walk to center of town. Our 39 bed hostel is built on top of our restaurant/bar, which will keep you entertained as well as keep your belly full of pizza and rum. Air conditioning is standard and free WiFi throughout. We can provide you with discounts on all tours such as cave tubing, mayan ruins, diving and more. 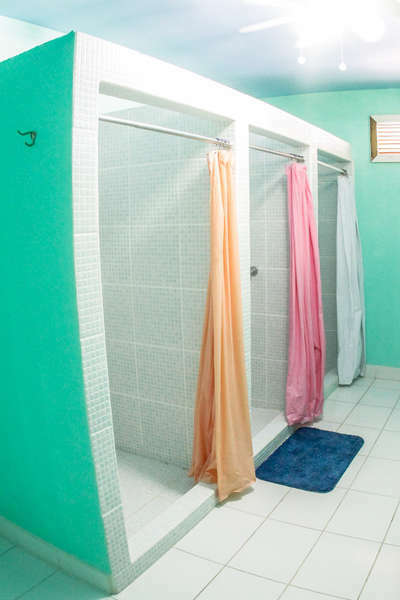 We are located on the beach, a five minute walk to center of town. We are in the Boca Del Rio part of the island named Ambergris Caye in Belize. Our island is a 90 minute boat ride from Belize City and is the main tourist destination in Belize. We are a 10 minute walk or 3 minute taxi cab ride from the airport. Go north from the airport until you get to the traffic circle and go right to the beach. Then make a left and we are the second property on the left. A full refund will be provided for cancellations received greater than 30 days prior to arrival. A credit towards a future stay will be provided for cancellations 15-29 days prior to arrival. No refund is available for cancellations within 14 days of arrival. Reception is open 8 am to 7 pm. NO pets allowed. Kid Friendly. Designated smoking areas. Fun is mandatory for all guests!